Leading a healthcare organization is a highly demanding responsibility that requires a visionary approach to planning, problem solving, and decision making. At Cary Medical Center, our award-winning administrative team has done an exceptional job at balancing patient needs, employee expectations, and resources. Their leadership, combined with the outstanding efforts of hundreds of employees, has positioned our hospital to be among the best for customer service, patient safety, and health information/medical technologies. Kris Doody is undoubtedly a leader with global visionary skills and a champion for healthcare accessibility, affordability, and quality. Her unique climb to Cary Medical Center’s top administrative position as Chief Executive Officer actually began as a Certified Nurse’s Aide at the age of 15. With a flair for nursing and genuine compassion for patients, Kris continued her education to become a registered nurse with a degree from the University of Maine in 1983 and eventually manager of surgical services. In this role, it was evident that Kris was an extraordinary leader; a trait that made her an excellent choice for the Chief Operating Officer position in 1994 and then Chief Executive Officer in 1999. During her time as COO, Kris also earned a Master’s Degree in Business from Husson College. With her clinical expertise and patient care experiences, Kris brings an insightful leadership style to the CEO position. This, combined with a drive to continuously improve services, tirelessly advocate for patients and the rural healthcare system, and the ability to inspire and empower staff, has garnered Kris numerous state and national leadership awards and appointments. Kris is a hands-on leader with vision, passion, and high ethical and moral standards. Most importantly, she always leads with a compassionate and caring touch. Dr. Regen Gallagher, DO, MBA, CPE serves as Chief Medical Officer at Cary Medical Center. As an OB/GYN by training, Dr. Gallagher originally joined Pines Health Services in 2006 and practiced Obstetrics and Gynecology until 2010. Following active practice, she joined Executive Health Resources as a Physician Advisor where she performed concurrent case review to ensure Medicare compliance for hospitals throughout the country. In 2012, she assumed the role of Chief Medical Officer at Cary, and in that capacity also serves as Chief Compliance Officer, Physician Advisor, Patient Safety Officer, and Human Protections Administrator. Dr. Gallagher received her undergraduate and medical degrees from the University of New England in Biddeford, Maine. She interned at Mercy Suburban Hospital in Norristown Pennsylvania, and completed a residency in Obstetrics and Gynecology at Midwestern University and St James Hospitals and Health Centers in Olympia Fields, Illinois. She earned an MBA in 2010 from the University of Massachusetts Isenberg School of Management. She is board certified in Obstetrics and Gynecology and as a Physician Executive by the Certifying Commission of Medical Management. She holds an academic appointment at the Tufts University School of Medicine as a Clinical Assistant Professor of Obstetrics and Gynecology. She is currently pursuing a law degree at Mitchell Hamline School of Law in St. Paul, Minnesota. Over the years, Dr. Gallagher has served in a variety of leadership roles at Cary Medical Center including Chief of Staff, Vice Chief of Staff, and as Physician Director of Maternal Child Services at the institution. She provides leadership and expertise to a number of departments and committees at the hospital including the Antimicrobial Stewardship Committee, the Medical Executive/Credentials Committee, Patient Safety Committee, Medical Review Committee, Quality Management Committee, and the Maternal Child Committee. 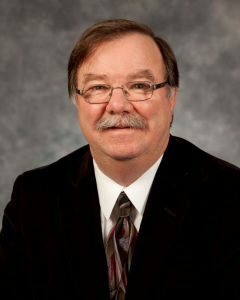 Locally, Dr. Gallagher serves on the Professional Advisory Committee of Valley Home Health Services. At the state level, she currently serves as Trustee at the University of New England, and on the Institutional Review Board at the University of Southern Maine. She has also served on the board of directors for the Aroostook Council for Healthy Families, Cary Medical Center, and the Maine Osteopathic Association. She was inducted into the Psi Sigma Alpha Honor Society in 1996, and named a Fellow of the American College of Osteopathic Obstetricians and Gynecologists in 2007. 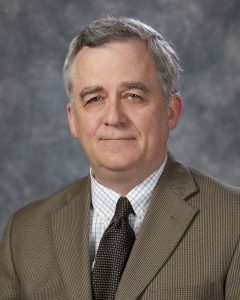 Dr. Gallagher completed the Health Leadership Development Program at the Daniel Hanley Center and the Institute for Civic Leadership in 2010 and was named a McAfee Fellow at the Daniel Hanley Center Physician Executive Leadership Institute in 2012. Leslie Anderson is a native of Caribou and a graduate of Caribou High School. She began her work at Cary Medical Center as a Staff Physical Therapist in 1990 and progressively moved up in the organization from Manager of Rehabilitation Services in 2001 to Director of all Ancillary Services in 2014. In 2018 she was appointed Chief Operating Officer. Throughout her career Leslie has kept patient care in the center of her focus and has helped the hospital win numerous awards for customer service and patient safety. Leslie received a Bachelor’s of Science, majoring in Physical Therapy at the University of New England in 1990 and earned her Masters of Science in Business in 2005 from Husson College. 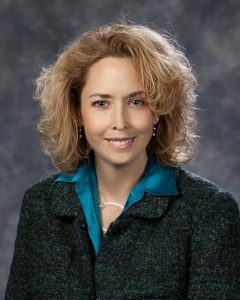 Leslie served as the Executive Director for the Maine Rural Health Innovation Network from 2014 – 2018. 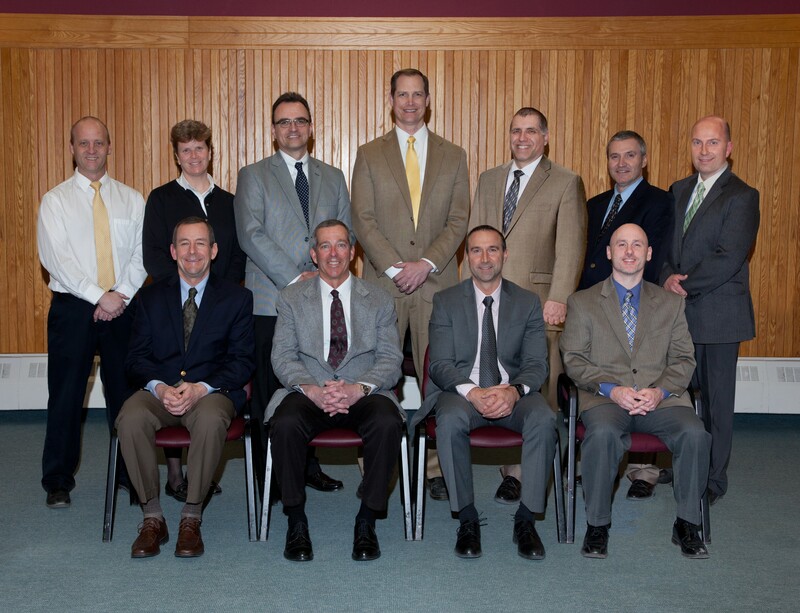 This work included collaboration with hospital leadership among the network to advance clinical care models throughout Northern and Eastern Maine. She has also had grant writing responsibilities including writing grants to the Health Resources and Services Administration (HRSA) and has been awarded more than $2 million dollars in funding. She is the Program Director for the Better Breathing, Better Living Program since 2016. Recently she was named Program Director for the Rural Recovery Network a Federal Grant addressing the current Opioid crisis in rural Maine. Leslie was appointed by Maine’s Governor in 2005 to the State of Maine, Board of Examiners in Physical Therapy and has served as Chair from 2008 to the present. 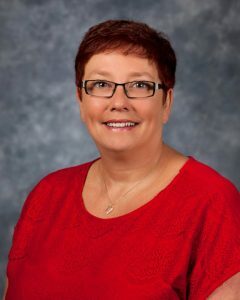 She is a member of the Advisory Board of the PT Assistant Program, University of Maine, and serves on the Advisory Board for Valley Home Health Services. Paula Parent has been with Cary Medical Center for over 30 years. In addition to personnel matters, she oversees Nursing Services and Human Resources. Paula values the strength of a diversified team and encourages employees to advance their careers through training, education, and enrichment opportunities. Her extensive knowledge about the healthcare system, both from a clinical and administrative background, helps Paula to effectively anticipate employees’ and patients’ needs. She is fully dedicated to positioning Cary Medical Center as the employer of choice for those seeking a rewarding healthcare career and ensuring that all patients receive excellent quality care from the dedicated, compassionate and loving nursing staff. Like the departments she leads, Paula herself is a diverse and dynamic individual. Her fun-loving, caring personality often shines through with a reassuring hug, a warm smile, or a friendly hello. 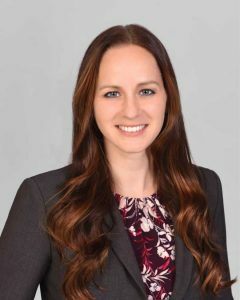 She has the reputation of being a fair and open-minded advocate for employees and has nurtured a supportive environment within her departments and throughout the organization. Chelsea Reynolds Desrosiers is a native of New Sweden, Maine and a graduate of Caribou High School. She is a Certified Public Accountant. She has extensive healthcare experience conducting generally accepted accounting principles (GAAP) audits of regional hospitals, physician organizations, not-for-profit foundations and a healthcare purchasing coalition. She served as Audit Senior Manager with Baker Newman Noyes out of the company’s Portland and Boston Offices. 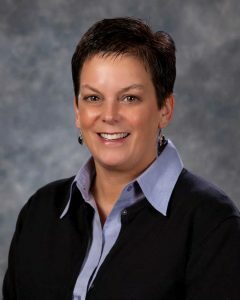 She received her Bachelor’s Degree in Accounting at Thomas College in Waterville, Maine and earned her Master’s Degree in Business Administration with a concentration in Accounting at Thomas. 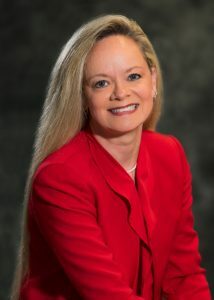 Her work involved efficiently and effectively coordinating, monitoring and tracking economics (budget VS actual) of financial statements, 401K benefit plans and Uniform Guidance compliance audits, under strict client time restraints, in a variety of industries (insurance, manufacturing, retail construction management and primarily healthcare) and size (start-ups to $1 Billion revenue generating entities). She is a member of the American Institute of Certified Public Accountants, the Healthcare Financial Management Association, the Maine Society of Certified Public Accountants and the Massachusetts Society of Certified Public Accountants. Dave Silsbee began his career at Cary Medical Center over 30 years ago as the manager of the laboratory microbiology services. His keen intellect for information systems and technology made him the perfect choice to lead Cary Medical Center’s technology advancements as the hospital’s Director of Information Systems, a position he filled since 2002. Dave’s calm demeanor and quiet confidence are reassuring to all staff when implementing and learning about new and often complicated technologies. He has established the reputation of being a statewide resource for health information systems. Dave has been invited to serve on several commissions and committees, as well as be the keynote speaker at events and conferences such as the University of Maine’s Technology Fair in 2006. Dave earned a Bachelor’s Degree in Microbiology from the University of Maine in 1978 and a Master’s Degree in Public Administration from the University of Maine in 1992. Bill Flagg has the longest tenure on the Cary Medical Center senior management team having been in his current position for over 25 years. There are very few people who can match the energy and passion for promoting healthcare that Bill exhibits day after day. With exceptional creativity, strong communication skills, and an unending enthusiasm, Bill has successfully put Cary Medical Center on the map as a leading healthcare organization. His participation in countless events, committees, and special projects has paved the way for hospital staff to develop valuable relationships with local and state agencies, groups, and businesses. Additionally, Bill often facilitates opportunities for our patients and the general public to access critical health information and to participate in wellness activities and programs. From securing grants to volunteering his time and talents, Bill consistently finds creative ways to meet the healthcare needs of our community. He has played a vital role in numerous significant projects including the building of the Maine Veteran’s Home on the Cary Medical Center campus and the formation of the Community Alcohol and Drug Education Team. Bill’s efforts have garnered state, national, and even international attention not only for Cary Medical Center, but also for northern Maine and other rural healthcare organizations. Bill earned a Bachelor’s Degree in English and a Minor in Political Science from the University of Maine at Presque Isle in 1976.